As we are days away from 2012, you want to make sure you start off the new year with a new and improved skincare regimen. 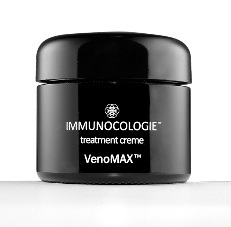 One of my favorite products to kickoff the new year with is Immunocologie Treatment Crème VenoMAX™. VenoMAX™ is a proprietary complex of anti-flammatory ingredients that synergistically inhibits the activation of Nf-kB, a key mediator in inflammation and aging. Key ingredients include VenoMAX™, Snow Algae, EAV (Elk Antler), Bioferrin 5000®, Alpine Rose and Magnolia Tree Bark. Treatment Crème VenoMAX™ can be used day and night, appyling a thin layer to face, neck and décolletage. This crème really feels like it absorbs into the skin rather than just hitting the surface. Treatment Crème VenoMAX™ ($275) and Treatment Crème VenoMAX™ Light ($195) are available at immunocologie.com. 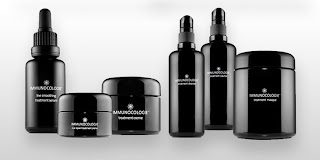 Click here to see the rest of Immunocologie's products.